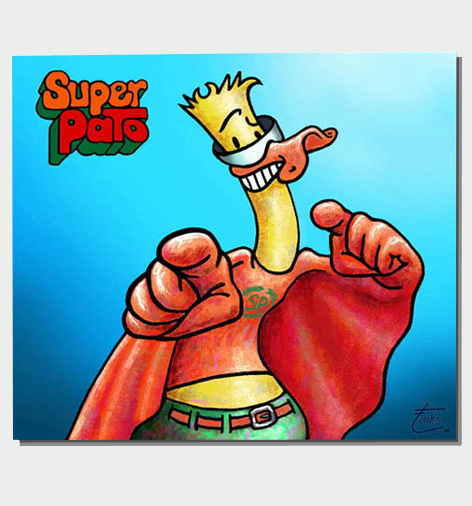 Super Pato is an original character from Erika Stanley. This enthusiastic superhero had his own space in trade magazine Vakblad, published inThe Netherlands. The magazine is not published any longer. Therefore Super Pato seeks a new platform for his mission: Serving the planet, in whatever way.